In October, volunteers were busy training new volunteer guides for the Sisters Islands Marine Park! 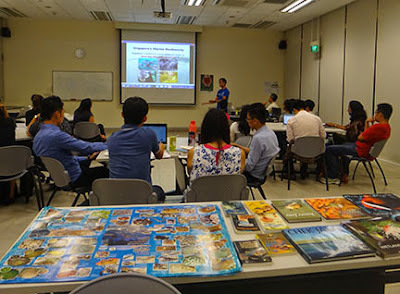 This training programme is a collaboration among NParks, National Biodiversity Centre, The Leafmonkey Workshop, Ria Tan (wildsingapore) and the volunteer guides of The Naked Hermit Crabs. There were so many interested in becoming volunteer guides that we had to run two sessions for a total of 60 participants. 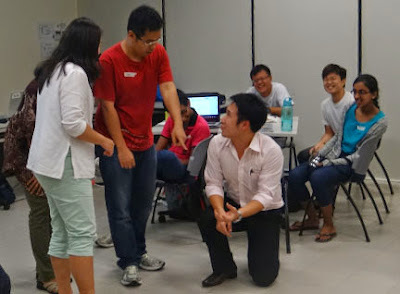 The session included talks like this one by Kwan Siong who gave an introduction the Sisters' Islands Marine Parksharing what it's about, how it came about, what's ahead. There were also talks about marine life in general and how to conduct a fun and safe walk. Role-playing is the highlight of the workshop and we have fun playing as well as watching some of the creative ways to deal with tricky situations. How can we gently share about our shores without hurting marine life? There was great team spirit and good humour during the workshops. One group, the Sotongs even came up with their own group photo meme! 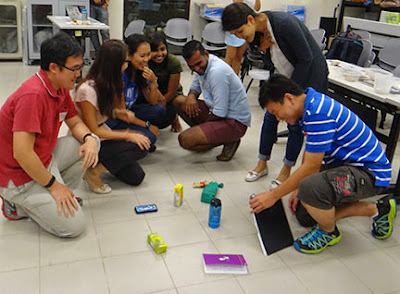 This group underwent rapid evolution during the exercises! 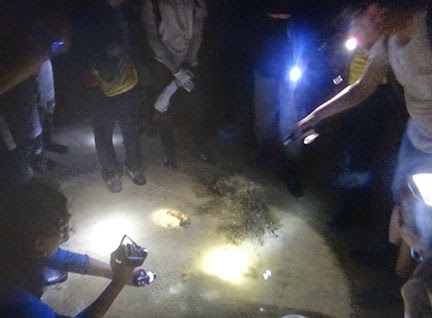 The workshop culminated in a field training session which happened near sunset (not enough daylight low tides in Oct, that's why there isn't a public walk scheduled for Oct). The trip is to allow guides to practice stories, get familiar with the walk route and practice 'seeking' for special animals to share with the visitors. We worked in small groups so as to avoid trampling and disturbing the animals. The Great-billed heron continued to forage even as we checked out the shore. 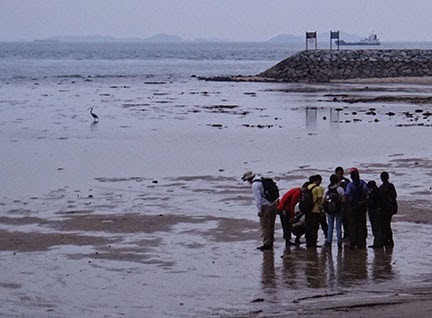 We also practiced 'seeking', finding interesting animals to bring up to the high shore so that visitors can have a look at them without trampling the shore. 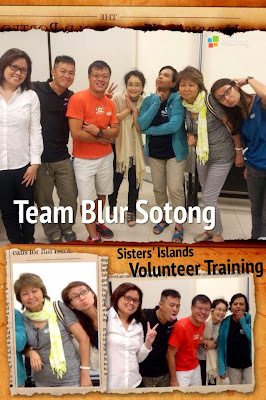 Finally, here are the new batch of volunteers guides! All ready to guide at the upcoming public walks in Nov and Dec! Hurray! 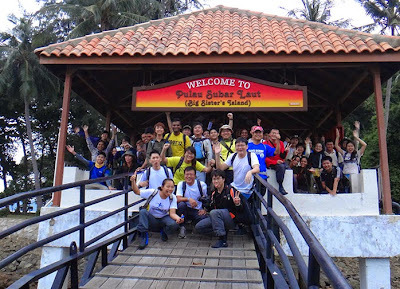 More about the Sisters Islands Marine Park and what to expect during a guided walk. This facebook group is dedicated to the Sisters' Islands Marine Park! For fans to share photos, stories and ideas for Singapore's first Marine Park. 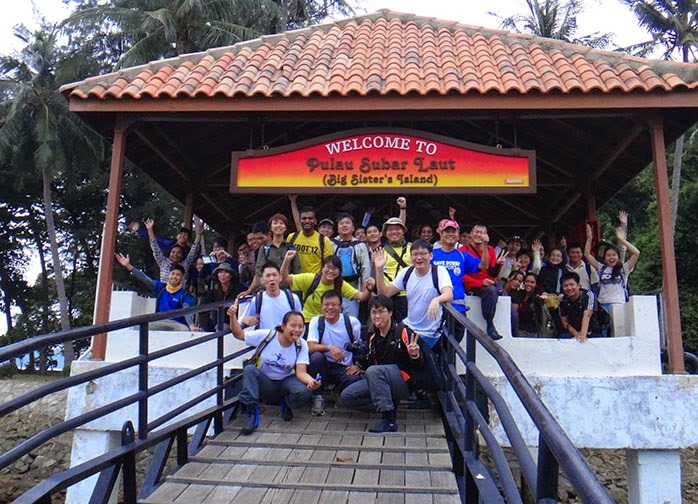 Visit the NParks website to register for walks and for updates on the Sisters Islands Marine Park.